If your life is like mine, you only have a limited amount of time to practice your golf game. So when you do, you want to maximize time rather than mindlessly beating range balls. Personally, as my golf career has progressed, I’ve figured out what works best for my golf game and what drills seem to give me the best output with my limited input. In this article, I outline the drills that work for me. I’ve always placed drills into two categories, mechanical and game-improving. Mechanical drills are ones that help fix swing issues like over the top, casting, etc. Game-improving drills are ones that hone the necessary skills to shoot lower scores. In my experience, you need to perform both types of drills in order to truly improve your game. 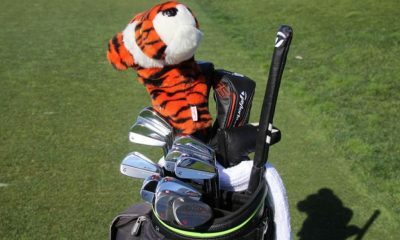 For this article, I give you my top game-improving drills so you can make practice more fun and get better in the process. Look out for an article on my top mechanical drills in the near future. 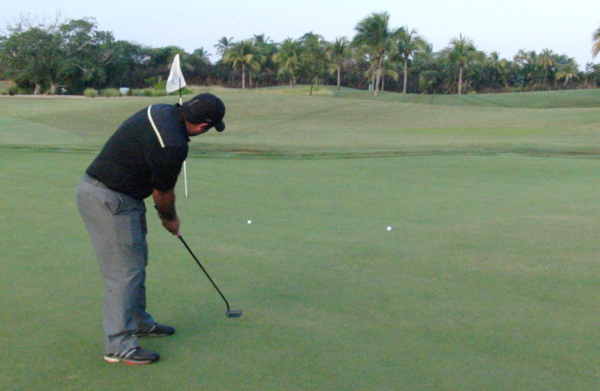 Being a successful putter means consistently marrying line and speed. But in order to do that, you need to be able to see the different lines that the ball can possibly take as it rolls across the green. 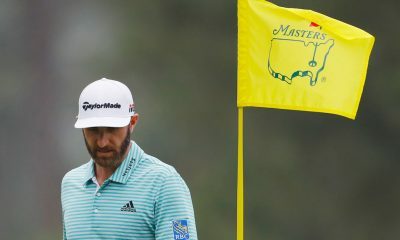 There’s a “high” side and a “low” side to every putt, and if you can’t see the difference between those, you’re limiting your ability to read greens. This drill helps develop that feel and imagination. Pick a putt between 10-20 feet with some break in it, and practice finding the highest and lowest break points possible to still have the ball go in the hole. This will mean altering speeds in the process. Developing your imagination will help you better manage your line and speed on the greens. Golfers often feel that one hand dominates their putting stroke, which is not a problem, but I like to train each hand individually to know its role during the stroke. “Lead hand controls the line while the rear hand controls the loft of the blade,” Homer Kelley says in the classic golf instruction book, The Golfing Machine. 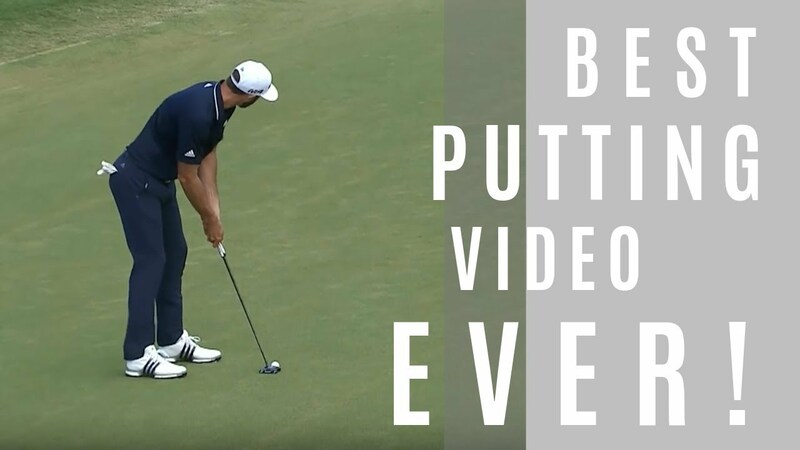 This drill, which you may have seen Tiger Woods perform in the past, has golfers hit putts of different lengths with just their right hand, and then just their left hand. You’ll want to notice how the face and loft of the blade changes during the strokes with each hand, which will give you a great feel for the role that each hand plays in the stroke. 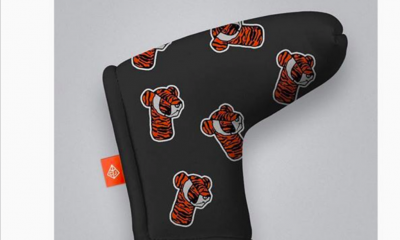 Figure out which hand you feel more comfortable with when putting one-handed, and you’ll then know which hand you want to feel dominates the stroke when you’re putting with both hands. Back when I was a competitive player, there was nothing worse than losing my feel around the greens. I combatted this by looking for the longest grass around the practice green I could find, and practicing soft-landing flop shots to a tight pin. The longer grass made me accelerate through the ball and the precision required made me focus on hitting a perfect shot. And more times than not, I’d have my feel back after the session. The next time you’re struggling with your feel, try hitting shots that require acceleration. It will free you up so you can get back to getting up and down. 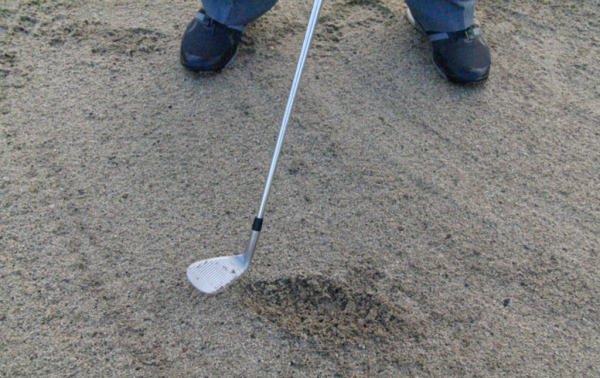 The biggest issue most golfers have when playing bunker shots is their lack of low-point control; most can contact the sand before the ball, as needed, but they either take too much sand or not enough. If you’ve ever seen someone leave a ball in the bunker, then blade one over the green, you know what I’m talking about. To solve this, I like to draw two lines in the bunker about six inches apart– I call them “snakes,” because that’s what they look like — and practice impacting the sand on the first line and have the club exit the sand at the second line. When I miss the “snakes,” I get to see exactly where I went wrong. 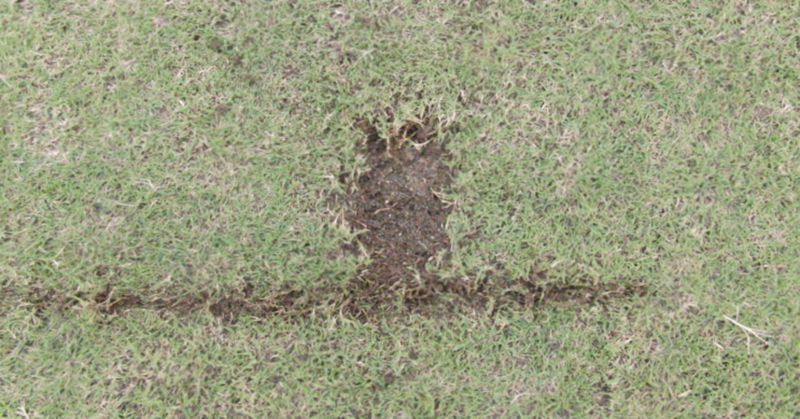 Draw a line in the turf and place the ball on the target side of the line. Then, hit a few shots and note where the divot begins. If you can consistently take a divot on the line or slightly forward of it, you’re on your way to more solid wedge shots. Consistent impact with wedge shots is crucial to ball striking, as we learned above. But how do we accomplish it from day to day? By using the big muscles to power the little muscles. 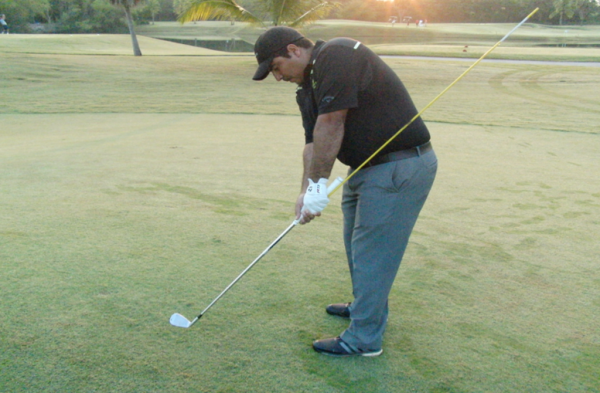 A strong connection between the torso and the golf club will keep the body and club from getting disconnected. 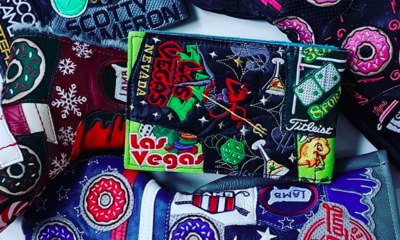 Whenever golfers use their hands excessively around the green, they’re destined for problems. To combat this, place a towel under your armpits and hit short chip shots. The idea is to hit the ball solid and keep the towels from falling out, working everything back and through TOGETHER. 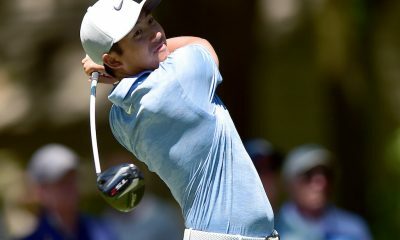 Another drill to feel this connection is to stick an alignment rod in the hole in your grip and make practice swings from waist high to waist high without getting slapped by the extra long club. If your hands become overactive, the stick will let you know. Anytime I see players hitting the ball very well OR very poorly, I ask them to use the left-straight-right drill with a mid-iron. That’s because when good golfers are hitting the ball well, they can make it curve however they want and go to the course with supreme confidence. 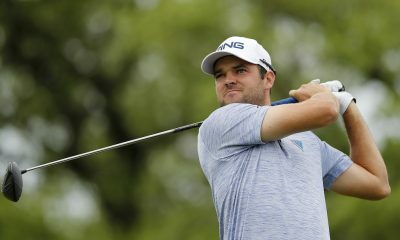 On the flip side, if they’re hitting shots all over the lot, they’re usually better off identifying the trajectory they’re most confident in and sticking with it until their swings come back. That will help them score better. For the drill, use a 6, 7 or 8 iron and practice hitting draws, fades and straight shots, alternating between each. Practice curving it a lot, then practice curving it a little. See how much control you can gain over the amount you curve the ball, or what shot is working best for you that day. Imagine a big window in the sky with nine panes of glass; one pane for each possible shot you can hit. Low-left, high-right, straight-middle, and so on. The best part of Bubba Watson’s game is the way he can make the ball move through any pane of glass with any club at any time. Golf is much more than just hitting a series of straight shots at the highest level, and shaping shots is key to converting good strikes into lower scores. The more shots you have in your arsenal the better you will play, regardless of your level of play. 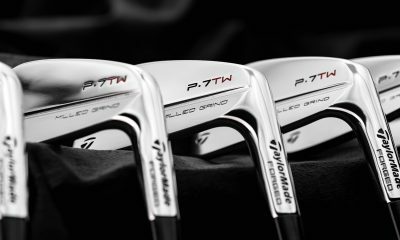 Take as much time as you can to learn how to hit all nine shots with a mid-iron, and expand to the other clubs in your bag once you do. Start this winter and come spring, you’ll be glad you did. 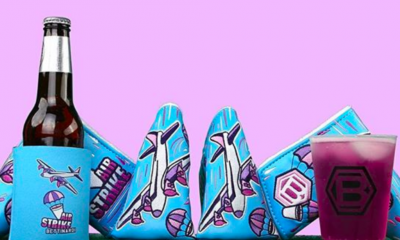 When you’re struggling with your driver, you need a go-to shot to find the fairway. It’s even more important to have a go-to shot when you’re under pressure, whether you’re playing for your pride or your career. 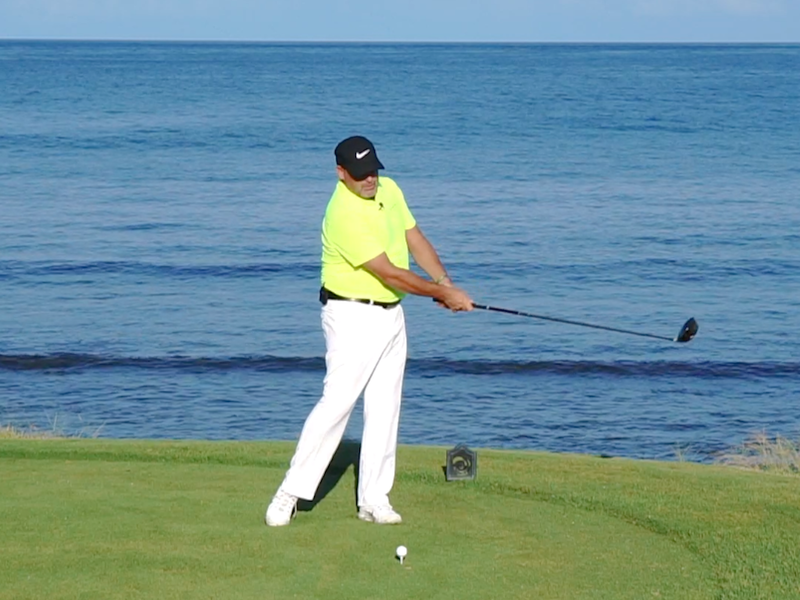 For this drill, simply take time experimenting on the range with your driver. Try hitting huge banana balls, stingers and hooks on command. Eventually, you’ll figure out what shot feels most reliable for you. Remember, this is more about accuracy than distance. You want to find the shot you can get in the fairway no matter what. 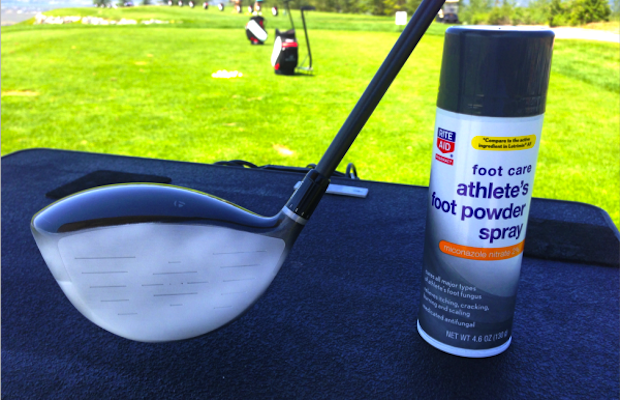 The best way to audit your impact on the practice tee is to spray the face with Dr. Scholl’s Foot Spray to see where the ball contacts the face. 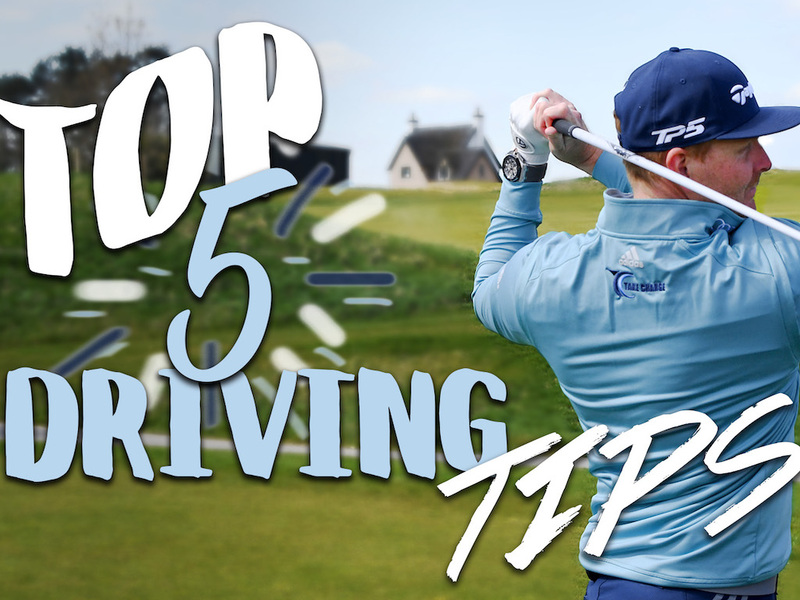 Remember, you can do more to gain distance by improving impact location and consistency than adding club head speed. One of the best recent golf studies I’ve seen was by James Leitz, who charted the changes in impact point with a driver and what it did to the ball speed, spin rate, and launch angle. 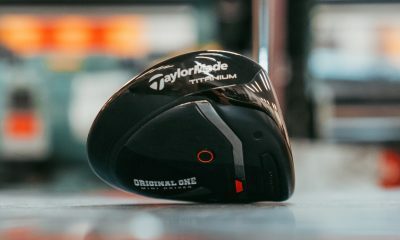 Basically, the study showed that golfers must contact their drives in the high center of the club face to create the launch conditions that maximize distance off the tee. Love the Dr Scholl idea! Will definitely use it next time. Great article and perfectly timed. This will help keep me focused during the long NE winter months. I look forward to your foreshadowed subsequent article. 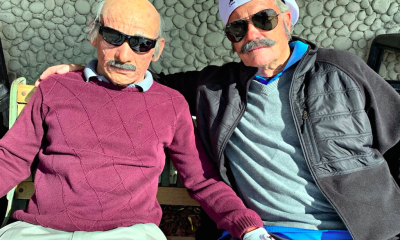 Tom – remember you from your time at Sandestin. 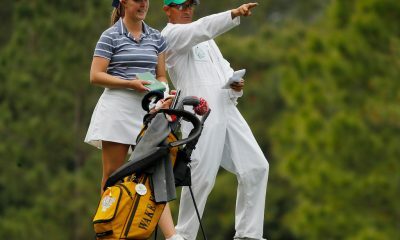 Looks like your still one of the best instructors in golf and thanks much for your articles. One subject, and I may have missed it, is spine angle (posture). I believe the need to maintain correct posture is very difficult as we get older. Also I’ve noticed that my wife Sheri, who’s short, has a tendency to stand tall and it seems to cause her to swing flat which causes fat shots and low left hooks. Lydia Ko is short but has great posture and her swing appears to be upright and she hits down on the ball. 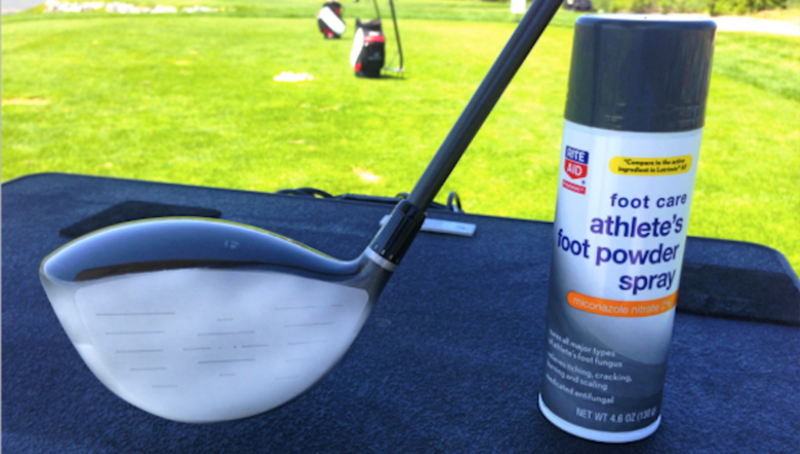 Can spine angle cure fat shots and give you the ability to hit down and through the ball? I don’t think it’s the spine angle so much as the proper sequencing of body movements. Lower body to shoulder to arm. When you start activating the arms too early, you’re bound to hit it fat. For me, I try to remember the arms don’t start really swinging forward until the right shoulder is rotating down at impact. I have the same problem with fat shots, and it’s a combination of the above factors. 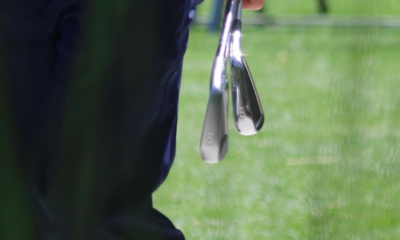 Standing too upright is a problem for me as well, and I’ve found that my hands compensate by holding the club too straight rather than pressing down on it at impact which encourages an angle between the club and the forearms. You see that in all pros. The bad thing about the problem is that it promotes hooks as the clubface is naturally closed when I hold it more straighter to the forearm. Swinging in the right sequence should fix all that, although with all swing changes it’s frustrating as heck. And since this is one of the more common amateur mistakes, I’d say it’s one that is easier said that done (probably like all golf swing fixes).